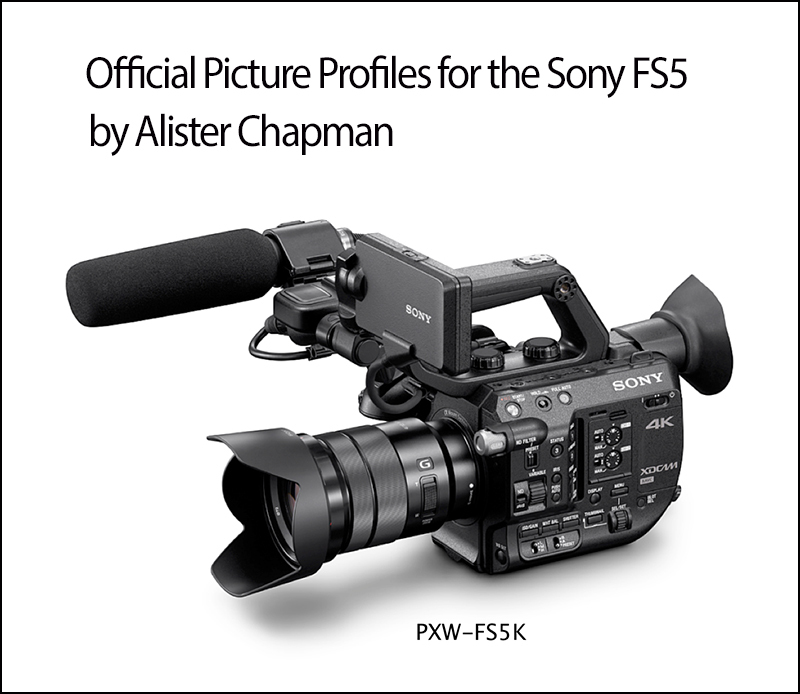 Tutorial for the Sony PXW-FS5 by Alister Chapman. Chapter1 : Picture Profiles. I started by asking Den about his early days in the video business. 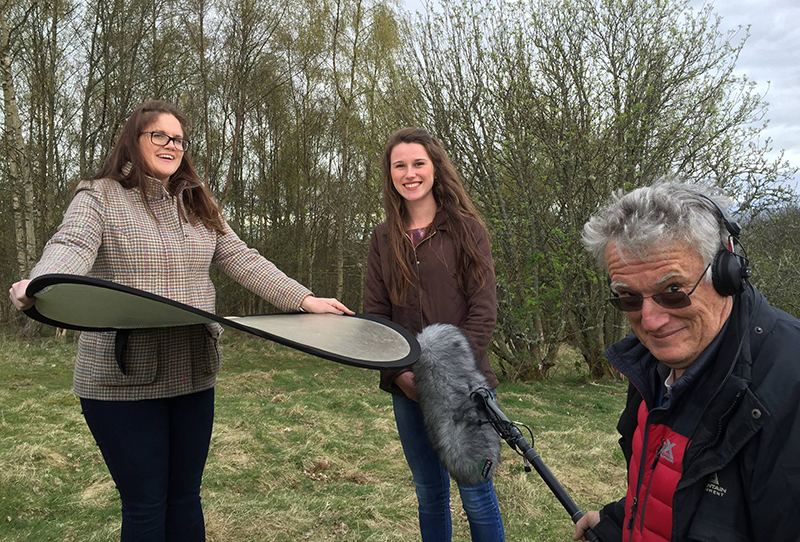 Den”At 16 I made it my mission to become a tv cameraman and attached myself to BBC Scotland in Edinburgh, tagging along on shoots in my holidays from school/college. I spent a large amount of time with a cameraman called Jim Galbreath, and a Sound recordist called Ian Cowie. They were my first true mentors and I owe then a great deal of gratitude for seeing something in me and encouraging me. I studied at Stevenson College and then Napier University on the BA in Photography Film and Television.” As a nice aside to this story Ian and Jim left the BBC and went to IBC, Amsterdam to look at new video kit , while Den on the other hand fell off a mountain badly hurting his shoulder, this set back Dens video career so opted for a career with MITCORP now CVP. Ian and Jim went to a demonstration day in MITCORP Edinburgh and Den met his old mentors looking for kit and gave both of them a managers discount as a thank you for helping him out in his early days. Can I just add there is nothing gruesome about the Mortuary Man its just a good TV documentary and worth watching. The Mortuary Man from Shotover Productions on Vimeo. I went freelance in January 2001- My first client was Twi shooting Sports features for Trans Word Sport that went out in 220 countries. I then developed a range of clients shooting everything from Daytime TV to Network travel shows. I shot shows including, Watchdog, Tonight with Trevor McDonald, Wish You Were Here…?, Most Haunted Live, Liquid News, A Place in the Sun, Holiday Showdown, and a number of other reality type shows. In 1992-93 I took a year off film school and backpacked around. Australia is an incredible continent full of stunning landscape and diverse geography. It’s a filmmaker’s and photographers paradise. The weather s pretty good too. So after that trip I fell in love with the place and decided that one day I would make it my plan to live here. The sun shines over 300 days per year in Sydney, and I like that very much. It’s a very positive place to live. Although it rains a lot in Sydney so reminds me of home. 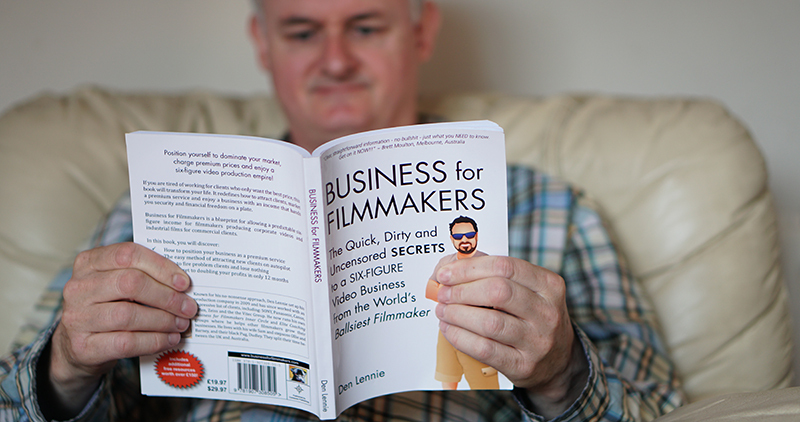 I thought a wee bit of prior knowledge about Den would be appropriate before lunging into the book Den has written “Business for Filmmakers”. I also needed the time to read the book as being semi dyslexic reading is a chore for me. Although I have a good 13 years ahead of Den, his business ethics are sound and you learn a ton of information from the book, especially how to treat the “free riders” on page 36 Den warns us about taking on work from chancers who tell you that there will be more work in the pipeline if you do the first job for free…nonsense. Get rid of chancers at the starting block, they are nothing but parasites. 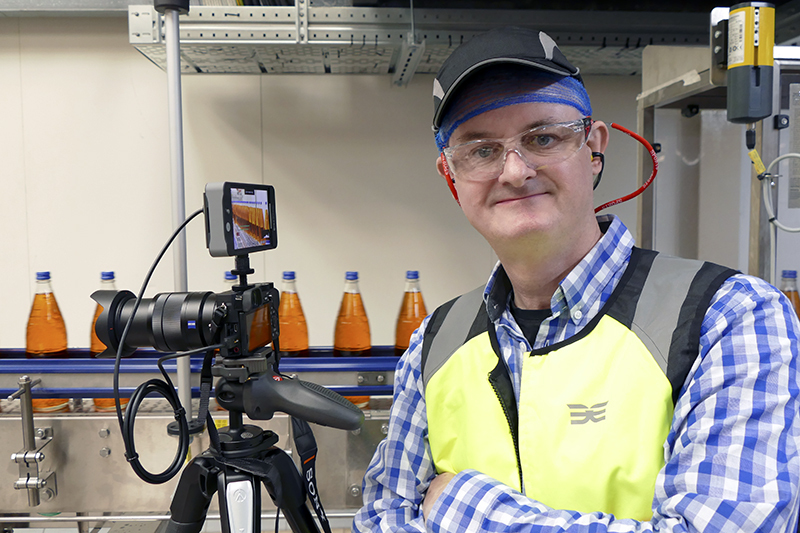 Almost as bad happened to me recently a chancer booked a studio session with my Sony FS7 with prompter only to add a free voice over as part of his conditions…I soon told him where to go and he did ! People seem to think we are a charity and “while you are doing this you can also do that for free”,this type of treatment does not go on in other professions. Back to the book, Den has kindly offered 5 free down loads of his book for your iPad, E reader etc. and is therefore open to anyone who has internet access. If you run a production company you cannot afford to miss this opportunity. I learned far more in this book than in my 25 years in the video industry. Well worth its weight in gold. I bought the book and asked Den if he would like me to review it as I was so impressed with its information. You will also learn why your business is not earning enough as most of us are too scared to charge the going rate for our work, Den tells you how to rectify this by charging more and how to add weight to your conviction when pricing for work. How do you get a FREE download…simple be one of the first five people to comment on this article and I will get a copy via Den off to you ASAP. UPDATE : I have just sent Den the 5 winners emails. Once again this lens performs a lot better on a camera with decent focusing, the A6300 has 425 phase-detection AF points ranged across the sensor. Remembering this is a Sony G lens so it should be a cut above average. 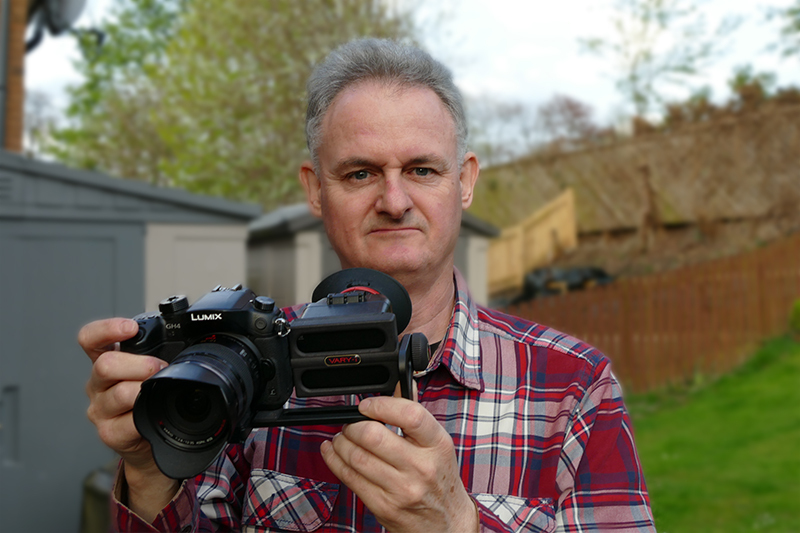 My A6300 arrived from Production Gear last week and the video facilities are fantastic with 4K 25p and full HD at 50p XAVC-S. You can attach the XLR unit but having no audio monitoring makes it almost pointless. This will be a feature added to the next model, though Sony have missed a trick with the XLR unit, they should have added audio monitoring on the XLR unit itself. I bought this camera for its photographic and video capabilities, 24MP, 425 AF points and up to 6400ISO in low light. 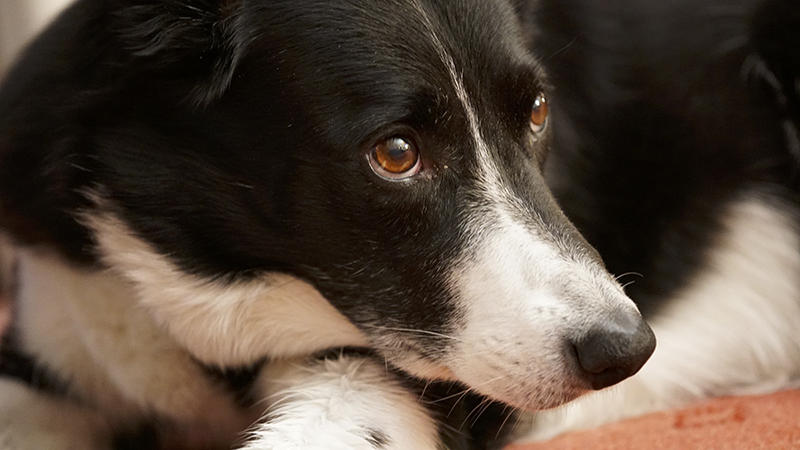 These pictures were shot over a week apart but the real star of this shoot was my new lens. This time I used my Small HD monitor rather than the XLR unit. A picture of my dog taken at 6400 ISO with virtually no loss in detail. 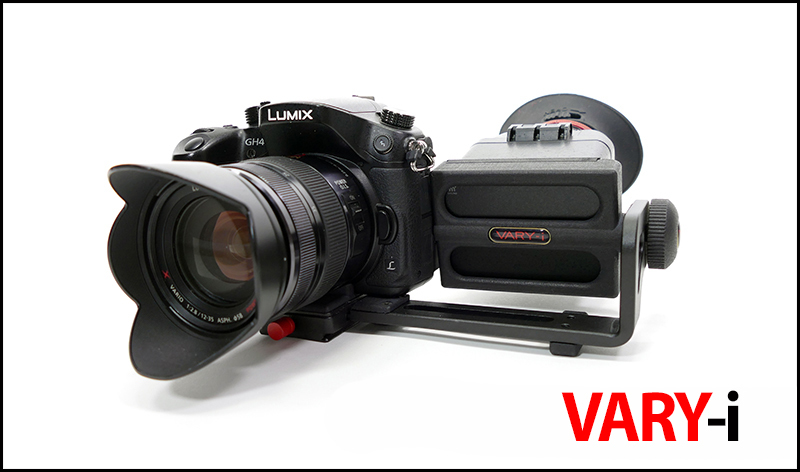 I have been testing a great new viewfinder for the Panasonic GH4 that fits onto the GH4 LCD itself. You can purchase VARY-i from www.vary-i.com for 278 euros. I get to keep my review loupe which will come in very handy for filming with my GH4. This is my first attempt at a video review since my mini stroke. I was out helping my son Scott at a wedding on Saturday for the first time since my stroke (Note : I only helped him with the ceremony) and decided to use the FW updated Sony 18-105mm f4 lens and soon wished I hadn’t…it’s inferior. The last thing I need while filming a live event is extra stress and this lens gave me a great deal of stress, even using the 2x magnification punch in it was still a pain to snap the lens into focus. 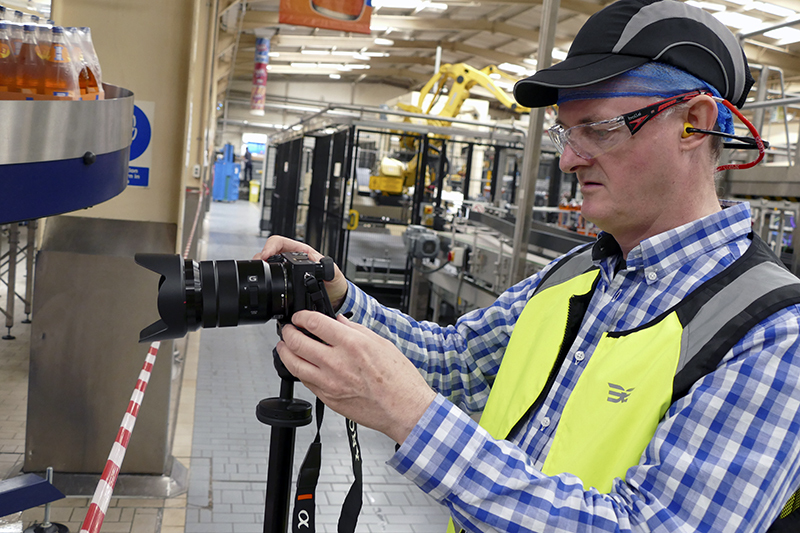 I am comparing it to the Sony 28-135mm f4 which snaps into focus and is normally used with my FS7, saying that at £1,371 dearer you would expect it to be better. 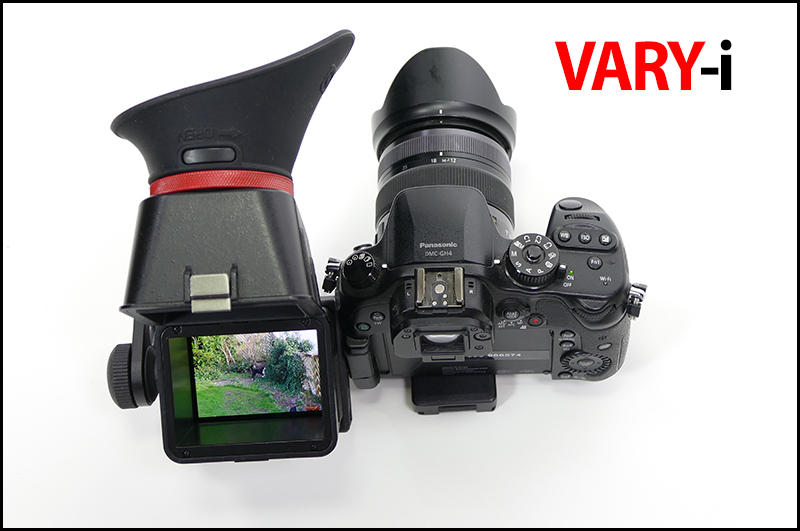 It may be able to track focus from tight to wide with its updated v3 firmware but its no contender compared to the 28-135 lens. 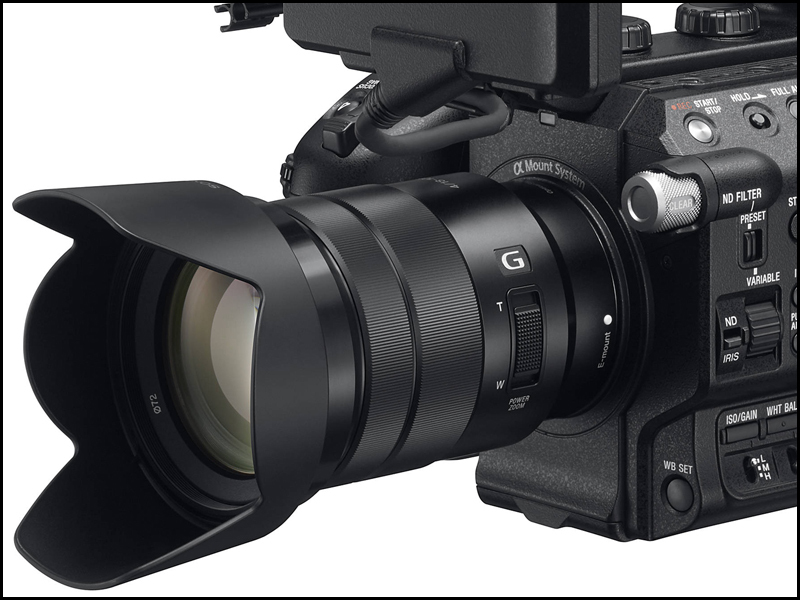 If you have the 18-105mm lens for your FS7 the v3 FW does make it a lot better, but it truly is a poor £429 lens and Sony should be ashamed of themselves for selling it with the FS5. So why is it so bad all of a sudden…simple I have not used for a few months and you can’t get a true focus using the lens in manual mode, it jumps in and out of focus due to its badly made electronic fly by wire focus mechanism. 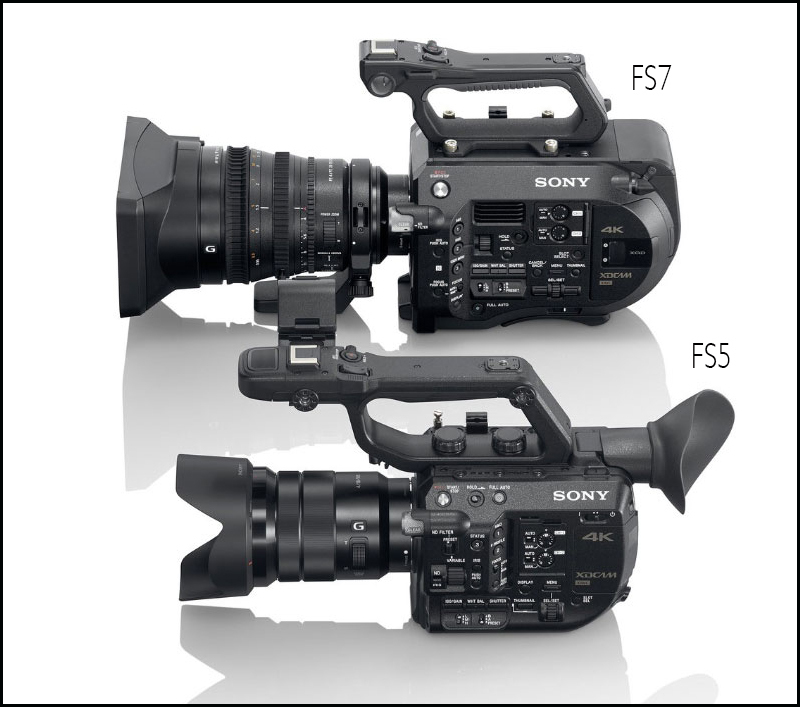 …you are all over the place and never use it in auto focus or it will hunt like a devil…unlike certain nameless parties the FS5 has a poor auto focus which is why its now permanently switched to manual. 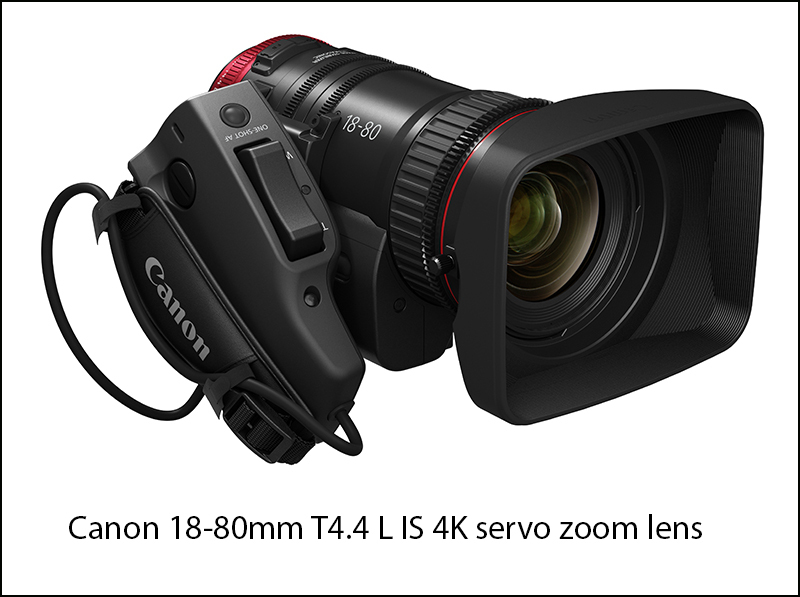 Sony were rumoured to have an 18-105mm at NAB but the only lens that appeared was the Canon 18-80mm t4.4. What really annoys me is that Sony are aware of the problem with a wider servo zoom but to date have not bothered to address this. So why did i not use the 28-135 lens…I was worried it would not be wide enough and it was back at base on my FS7 so I had no option but to continue with the 18-105 plus I did want to force myself to give it a run through after the v3 FW update.